The Centre’s data literacy work is focused on increasing the capability of humanitarians to access and use data in their daily work. We offer in-person and remote training for technical and non-technical users of data. In January 2019, we conducted a survey to understand how the Centre can best support humanitarians to improve their data skills. See the full survey results here. Over 1,200 people completed the survey from 111 countries. The greatest response rate came from people working outside of headquarters, i.e. those working in regional or country office locations. 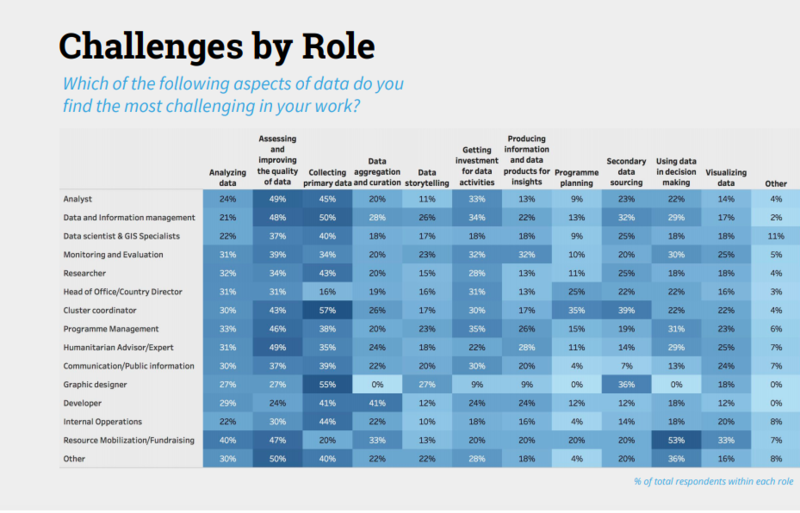 Analysing data was the most commonly reported task. Collecting primary data, and assessing and improving the quality of data were the most commonly reported challenges. 98% of respondents work on tasks related to data, with 70% working with data all the time. Following our survey and additional qualitative research, we are finalizing a two-year roadmap for the Centre’s data literacy programme. This will likely include targeted trainings for Centre priorities such as adoption of the OCHA Data Responsibility Guidelines and the Humanitarian Exchange Language data standard. We also plan to offer a course for non-technical, middle managers in OCHA to increase their data awareness as they undertake the critical role of acting as a bridge between technical staff and senior decision makers in the humanitarian sector. In the meantime, we will continue to offer webinars on areas of interest to our community. In partnership with the Tableau Foundation, we provide access to training courses on data visualization using the Tableau software. 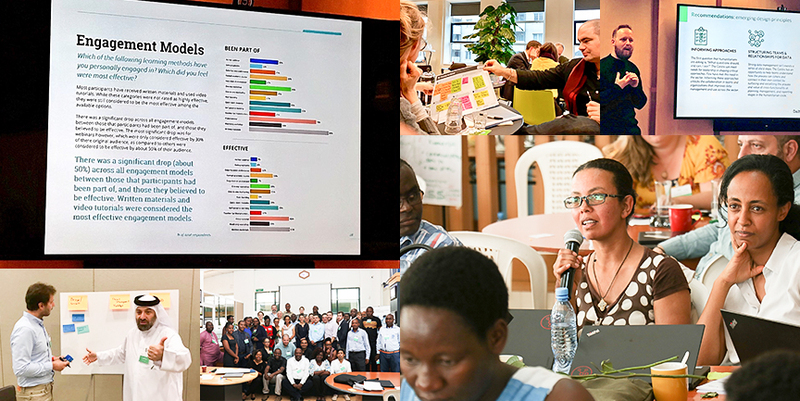 The Centre also works closely with the International Federation of the Red Cross and Red Crescent Societies to deliver data skills workshops and on initiatives like the forthcoming Data Playbook. Sign up to our mailing list for updates on Data Literacy and periodically check our Events page for planned webinars and workshops.